On June 5, 2012, Hilton received a negative survey from a guest who had stayed at the hotel stating, “the front desk staff on her second day was extremely rude and short tempered.” Based on the information provided, they felt certain it was Kilgore. Management met with Kilgore and terminated her employment. Kilgore objected and requested to view the surveillance tape and to be told what information the guest provided that identified Kilgore as the culpable front-desk agent. They refused to discuss the details of the alleged guest complaint, and Kilgore never was given an opportunity to view the surveillance tape. Kilgore submitted records indicating that she was not working on the date of the guest’s complaint. Kilgore was terminated because of her “continually poor attitude” towards Hilton’s guests. Common Sense Counsel: a properly documented investigation of allegations of this nature is the only way to head off harassment and discrimination claims. 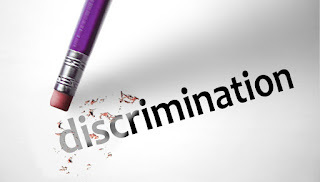 It is critical to train your employees and managers never to use age and race related expressions or stereotyping of employees and your company should not be a courtroom casualty.